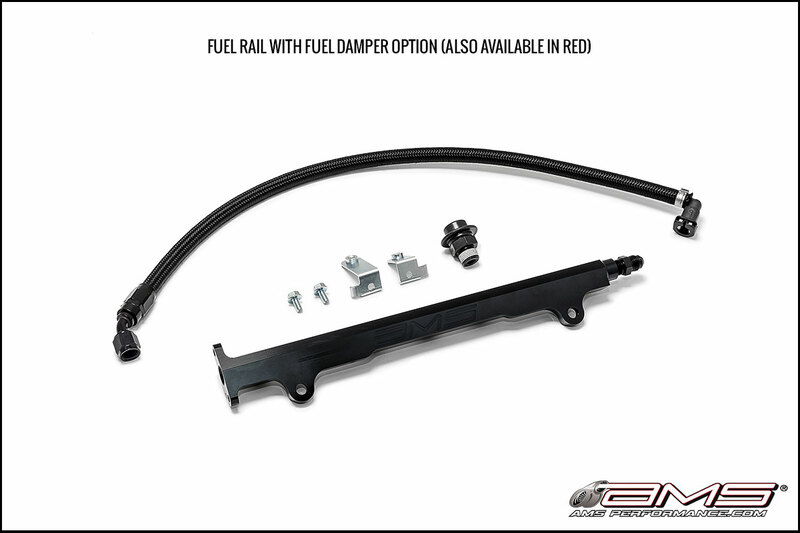 The AMS EVO X Fuel Rail provides increased fuel flow which is necessary at higher boost levels. This CNC’d aluminum rail comes anodized in Red or Black and includes our signature AMS logo. With a -6AN (7.5 mm) diameter inlet and outlet it dwarfs the stock rail by over 25% in flow area. 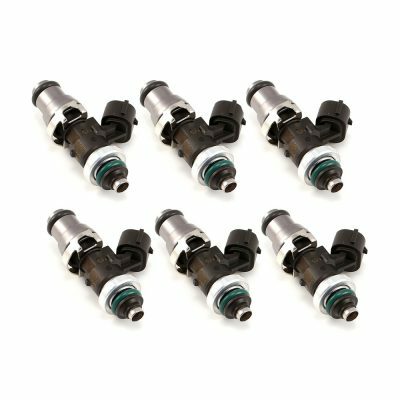 This is true bolt on part that will install with your factory fuel lines, fuel pressure regulator and will work with all factory style fuel injectors. 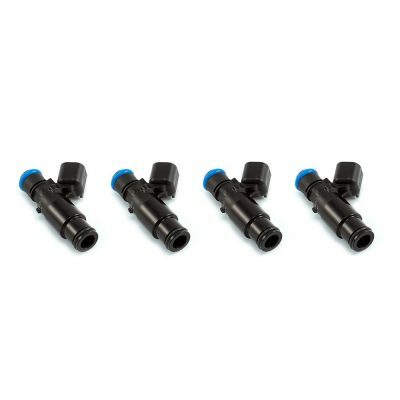 Included in our kit is a -6AN braided fuel feed line that increases fuel flow by 25%. 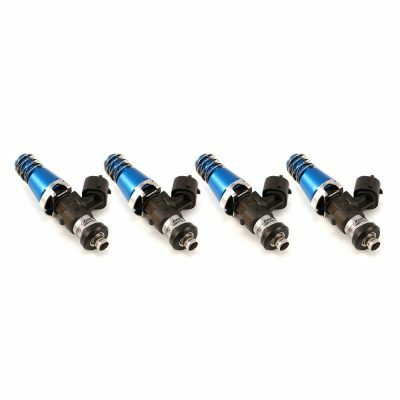 Our line also makes your car safer by eliminating the hard factory fuel feed line that can crack over time from engine vibration. Some EVO X owners love to push the boundaries with the mighty 4B11. For those running more than the average bolt ons, and specifically an aftermarket fuel pressure regulator, we have added a new feature to further improve driveability in low RPM scenarios. 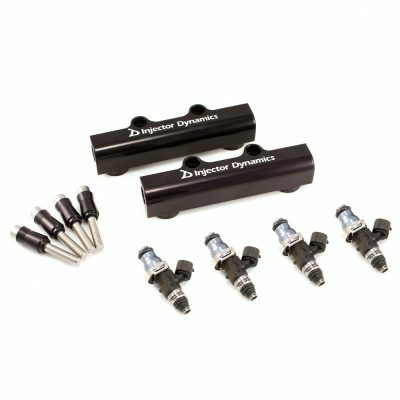 This new fuel damper integrated into our fuel rail kit will ensure even better fuel delivery under low load and low rpm driving. 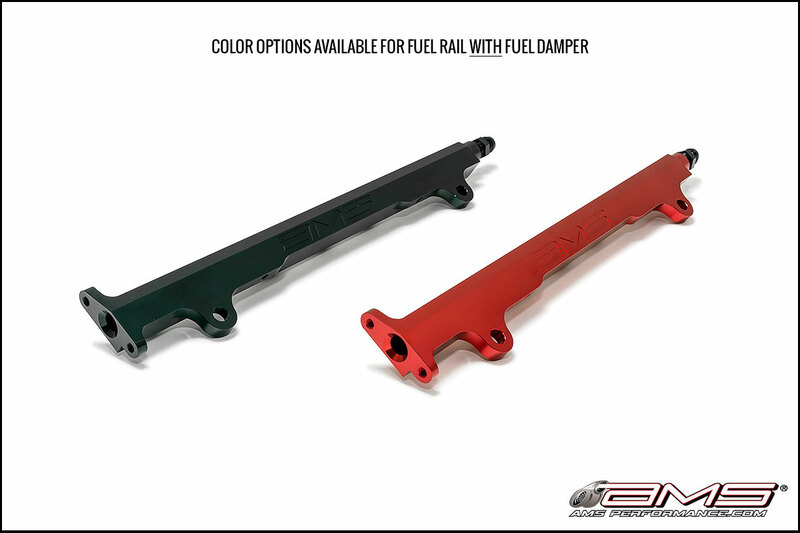 AMS Mitsubishi Lancer Evolution X Fuel Rail Kit Install Instructions can be downloaded here.